For those dreaming of genuine adventure, Antarctica has long been considered the last frontier. This pristine landscape of mountains and glaciers remains largely untouched by civilization, however this once-remote destination has moved to the top of many travellers' places to go next list. Global luxury travel company Abercrombie & Kent has been taking travellers to Antarctica for over 20 years and is the expert in providing unforgettable travel experiences for its discerning guests. In order to provide the highest levels of floating accommodation and service in Antarctica, Abercrombie & Kent (A&K), has chartered the spacious new MV Le Boreal for the 2010/2011 Antarctic season. An all-balcony expedition ship, MV Le Boreal features a convenient layout, aided by three passenger elevators. Highlights include a single seating dining room, al fresco dining, an outdoor heated pool, and a modern lecture facility and theatre, as well as an ample and comfortable gathering area and library. A full-service salon, steam rooms, spa and fitness centre are a welcome addition to cater for all guests' requirements. On other cruises to different destinations, she carries more than 264 passengers however in Antarctica, A&K limits her to just 199 guests. That's an important A&K difference: fewer passengers mean more shore excursions each day, as well as outside staterooms with private balconies for every guest. - State-of-the-art computerized dynamic positioning eliminates the need for dropping anchor in fragile marine reserves, protecting corals and the environment. - Thermal and phonic insulation in engines and the propulsion system reduces overall energy consumption. This insulation also minimizes noise and vibration for passenger comfort. - The most advanced waste water system and waste management. Waste will be sorted, treated and stored in a special refrigerated zone for proper discharge in port. NO water (other than fully potable water), waste or rubbish will be discharged at sea. - Operates on the lightest and cleanest burning Marine Gas Oil fuel in full compliance with new International Maritime Organization standards taking effect in July 2011. - Zodiac boats are equipped with fuel efficient 4-stroke engines that meet the strictest environmental standards. · Classic Antarctica highlights the best of the Antarctic Peninsula: vast penguin and seabird colonies, dramatic icebergs and glaciers … a paradise for those who want to observe and photograph wildlife at close range. Sail through breathtaking Paradise Bay and into the Lemaire Channel. Professor James McClintock will share the changes he has seen over the past 25 years and introduce scientists at Palmer Station. Fourteen day Philanthropic Journey: December 7-20, 2010 from US$9,995. · On Antarctica, South Georgia and the Falkland Islands, follow in the footsteps of one of the greatest adventurers of all time: Sir Ernest Shackleton. This itinerary offers close-up views of the unique king penguin, along with fur and elephant seals. Visit an active research station on the Antarctic Peninsula. Nineteen day departures Dec 17-Jan 5 and January 2-21, 2011; from US$15,795. Family Departure: December 17, 2010-January 5, 2011. Children under 18 save 50% of cruise price when travelling with an adult (except in suites). Sujata Raman, A&K's Managing Director says, "As experts in small ship cruising in destinations worldwide, we carefully match the ship to the destination. In a place like Antarctica you need to strike just the right balance between on-board amenities and full-fledged wilderness adventure as well as environmental responsibility. 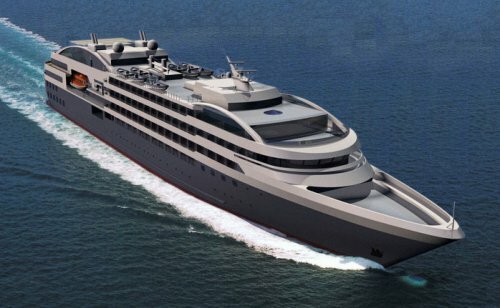 The sleek, contemporary design of Le Boreal allows us to offer a distinctly different adventure cruise experience with private balconies and access to crystal-clear bays and narrow fjords that the big cruise ships simply can't reach."